I'm trying to follow the model of SampleCustomPicture to create my own Picture, Audio, Video, and File documents types that use my custom metadata schema. The problem I'm having is with the thumbnails in the DAM default view with my object types that inherit from Audio and Video. In this screenshot; “native video test” is the built in Video from Nuxeo; and the broken image thumbnails are from my custom document types that inhert from Video and Audio and add one metadata schema. 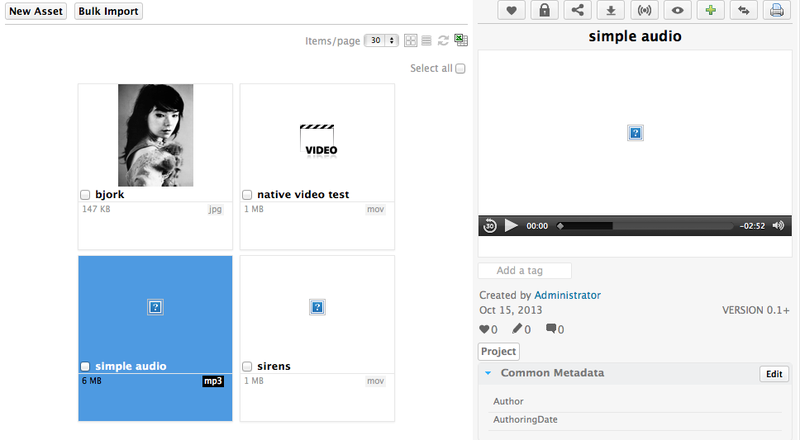 “bjork” is a SampleCustomPicture from the sample studio template where I've added my custom metadata schema. How do I get my custom object types to inherit the thumbnail generation business logic from the built in DAMS document types?